I believe that connection is a crucial piece in making intimate and compelling photos. On one level or another I connect with all of the subjects of my images. Of course, it's not always a deep and lasting connection, but sometimes it's the conduit for a lifetime of friendship. 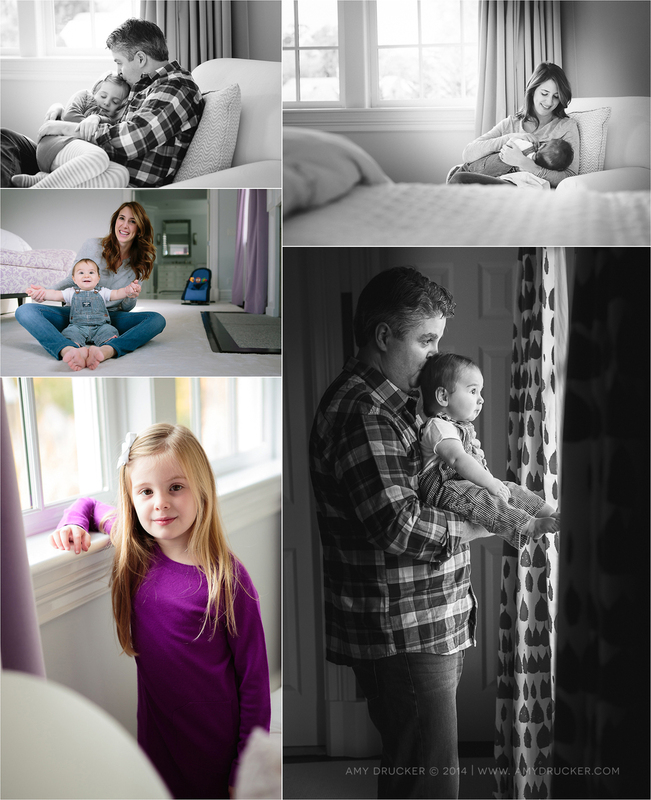 It's a part of the job that scares and excites me every time: I walk into a client's home—usually with small children around—and have to find a way to connect (pretty quickly) enough to be able to create images that will evoke emotion. This part of picture taking has absolutely nothing to do with my camera. I'm never really sure I've done it until I get home and look through the photos a few times. But as I left this family's home, Mom hugged me, and I had a good feeling that I'd succeeded. I hope she thinks so. Thank you M Family for allowing me into your beautiful home to document your silly, warm and wonderful family.